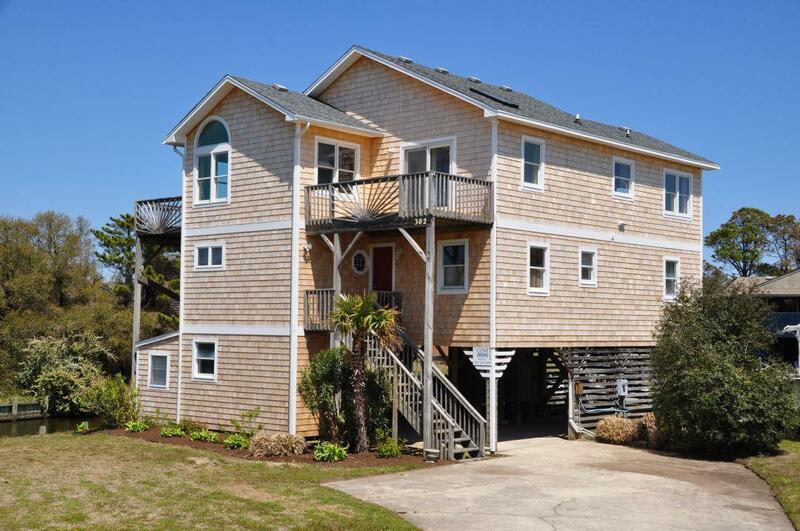 "Lovell Sun," offers one of the most unique Outer Banks water-front locations on the island, providing water views from every angle of the home. 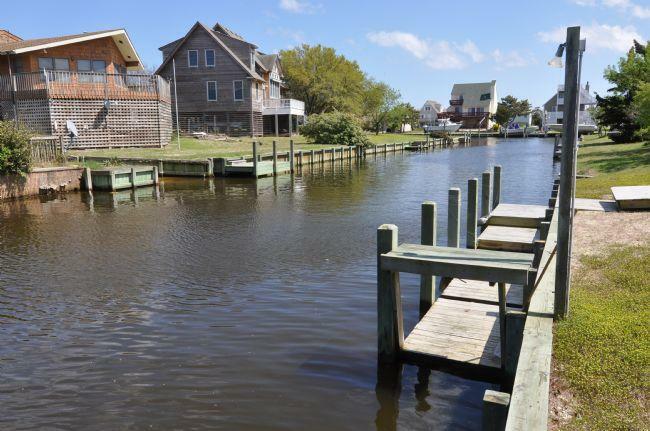 As a corner-Canal Front rental, enjoy immediate access to the water-ways on both the North and East side of the home, allowing for crabbing and fishing, while views of the majestic Albemarle Sound (water-way between islands) can be seen to the west, providing memorable sunset views. 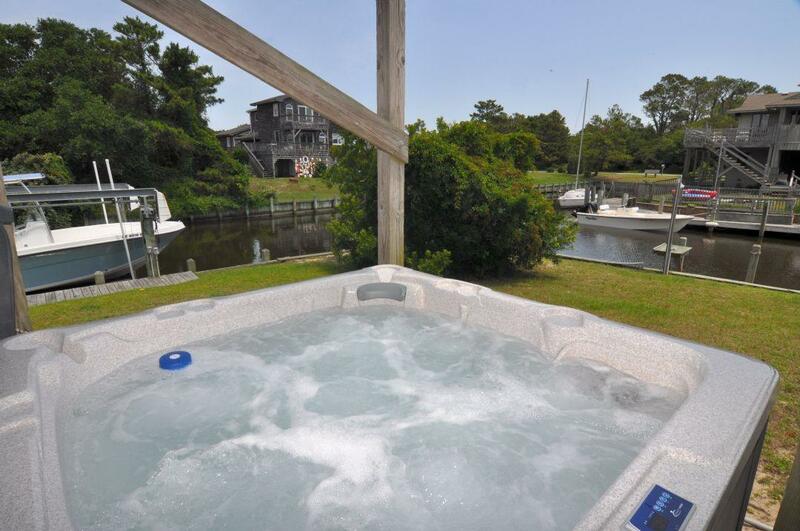 This Nags Head rental has been completely revamped for the 2018 season, with not only a new hot tub for relaxation after a long day at the beach, but has also undergone a complete cedar shake re-siding, updated multi-level decking, new dishwasher and refrigerator, brightened interior, and more! 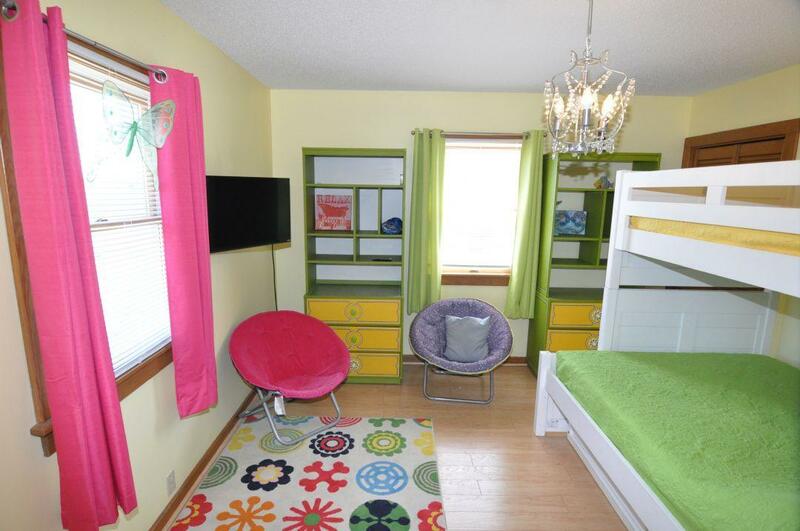 The home, itself, features a modern atmosphere with plenty of bedding and living space for family gatherings. 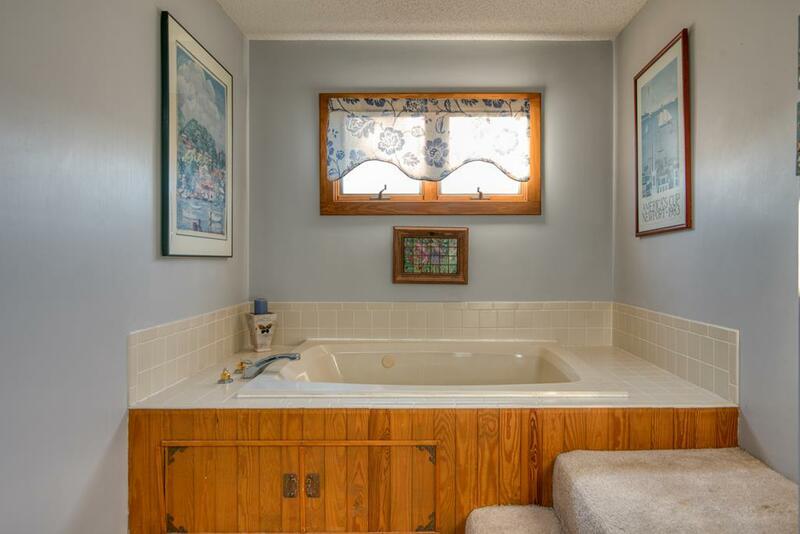 A massive master bedroom with Jacuzzi tub adds even more to the relaxing getaway that this home offers. 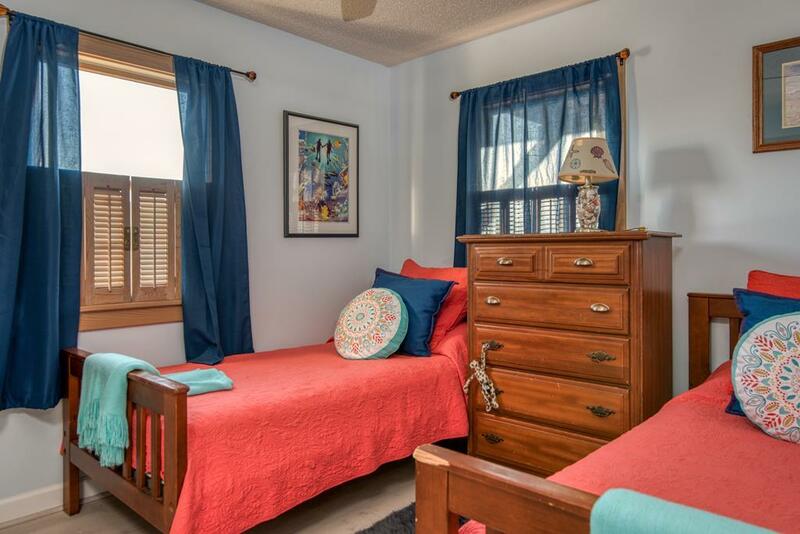 Add a list of amenities including a decorative fireplace, sky lights, WiFi, board games, and more, and this rental is sure to please the entire family! 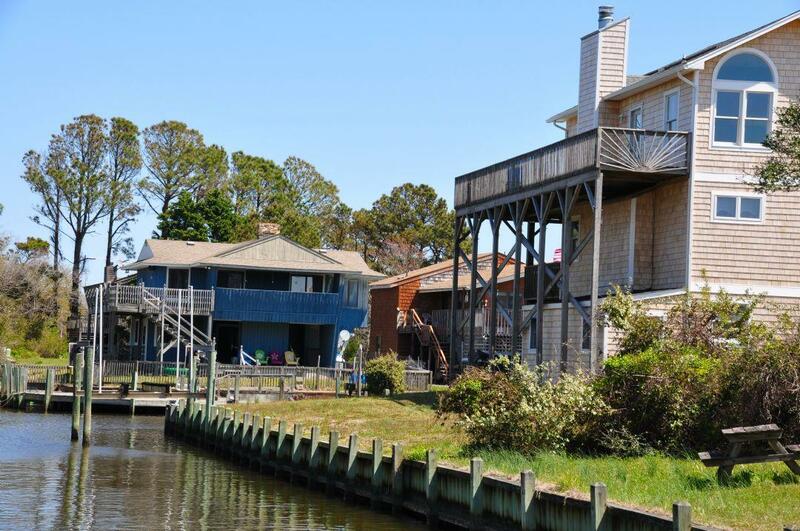 "Lovell Sun" is a canalfront rental located in Old Nags Head Cove, offering a quiet neighborhood with access to a community pool and boat ramp (for additional fee), as well as volleyball and basketball courts, a clubhouse, and sound access. 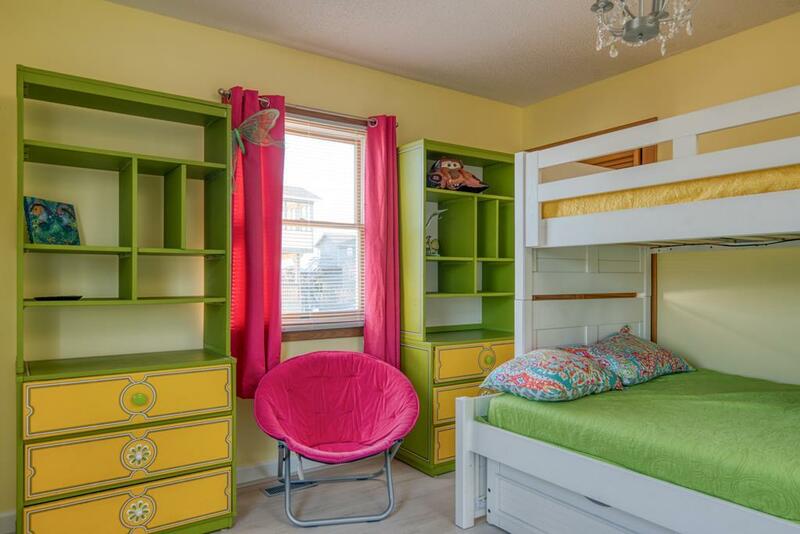 And best of all, this association is just minutes to the beach! 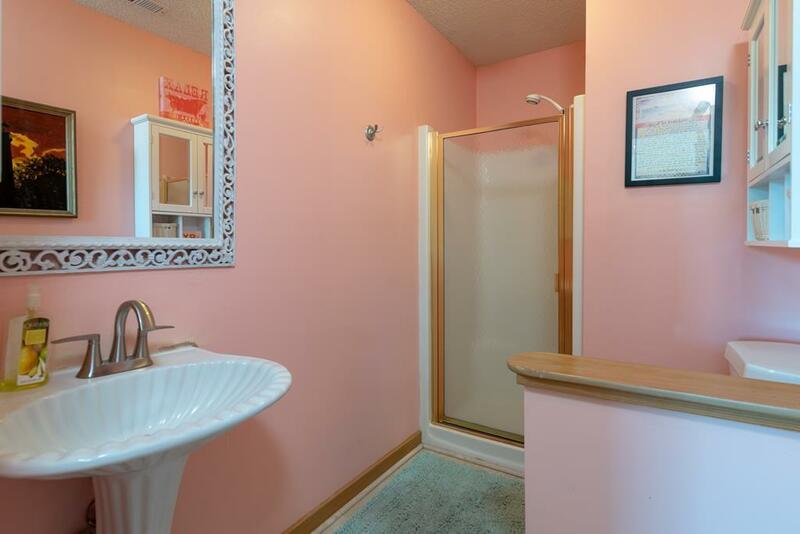 Mid-Floor: King Master Bedroom with bathroom and jacuzzi tub, Twin Room, Hallway Bathroom, Pyramid Room with Full Trundle Bed. Canal-side balcony access from King Master and Pyramid Room. Top Floor: Canal-Side Great Room with Sitting Area, Kitchen with Bar, Dining Area with Panoramic Water Views, Bathroom, Queen Room with Private Balcony. 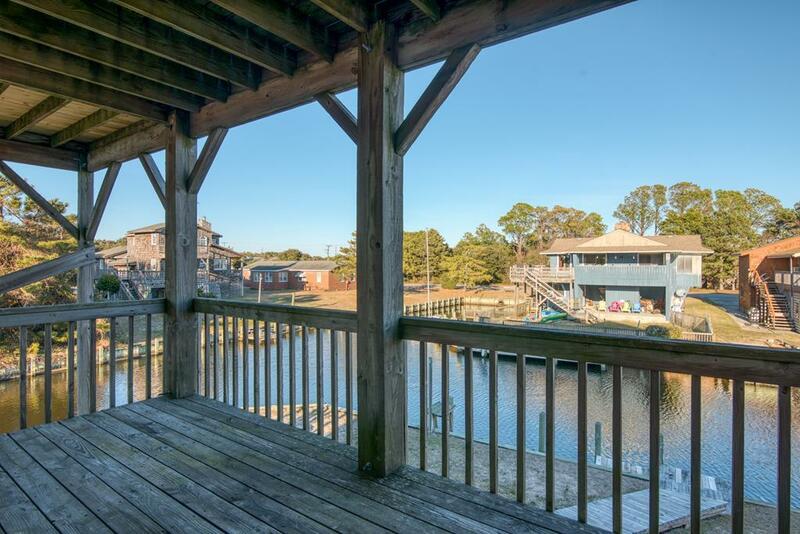 Canal-side wrap-around deck accessible from several locations in Great Room. 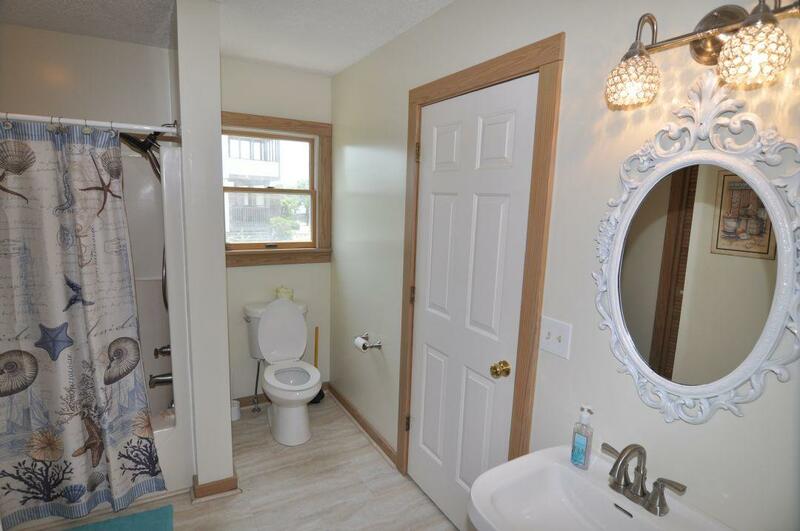 "Excellent place to stay. Enjoyed the hot tub and the camp style grill. 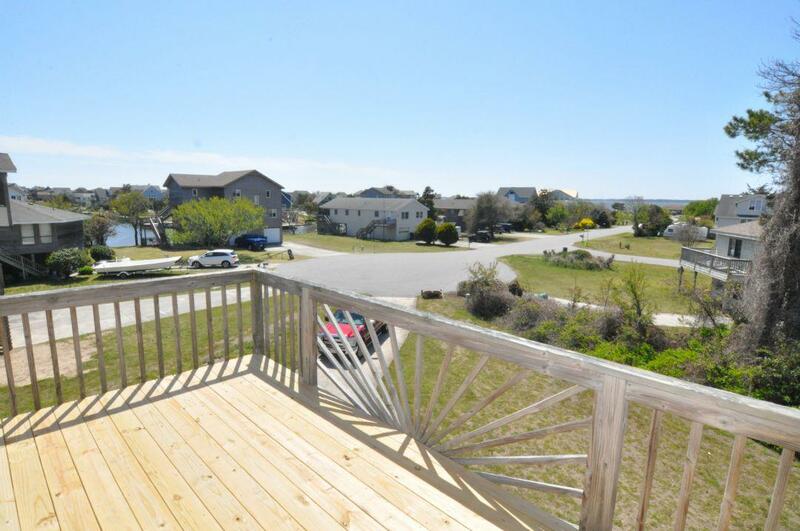 Plenty of room and close to everything in Nags Head." "The past 2 years, we've had a mini family reunion at The Lovell's. 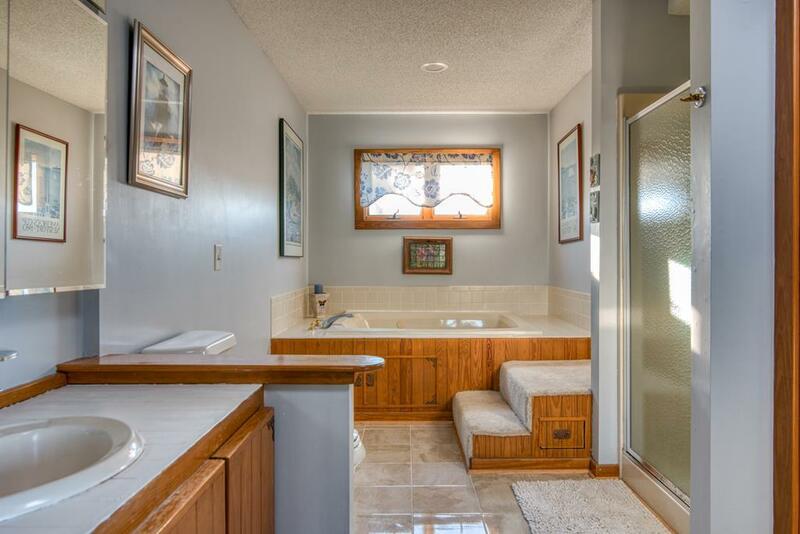 There is plenty of room throughout the house for getting together or for spending some time alone. 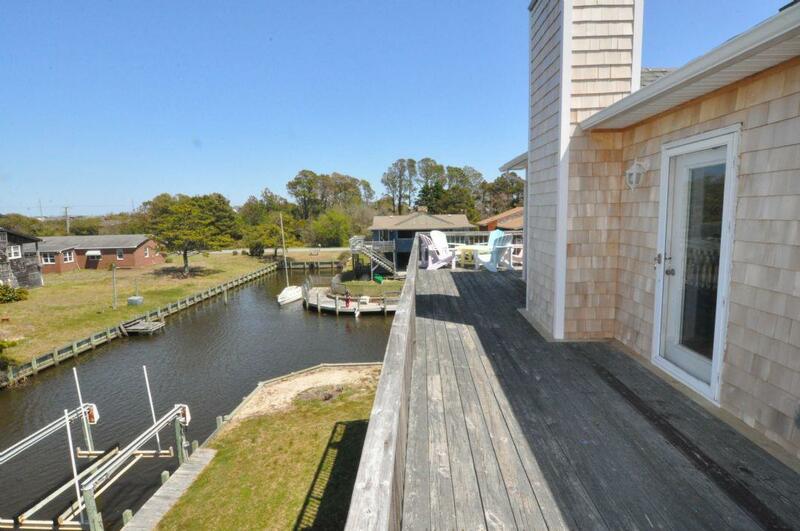 The decks are fantastic for geting some sun and plenty of room for everyone to join in. We ate in for a few meals and found the kitchen and dining area very spacious considering that's where everyone gathers when there's food around. 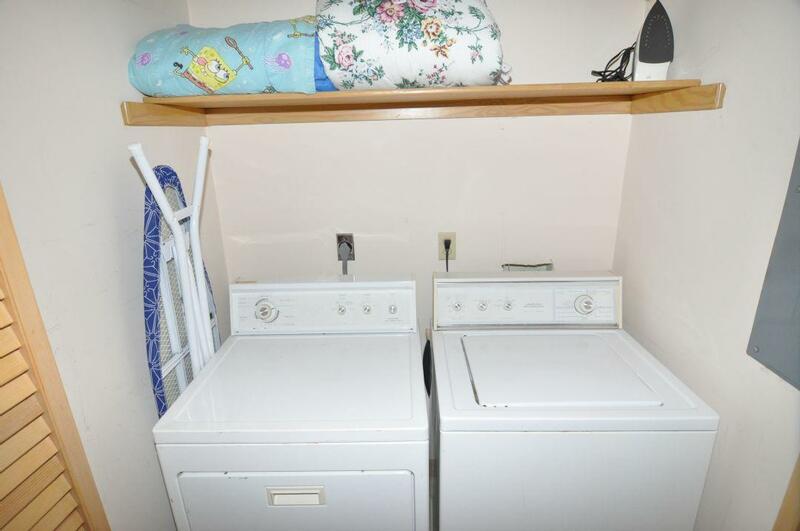 With new appliances and extremely clean rooms, it really feels like home, but with better views! 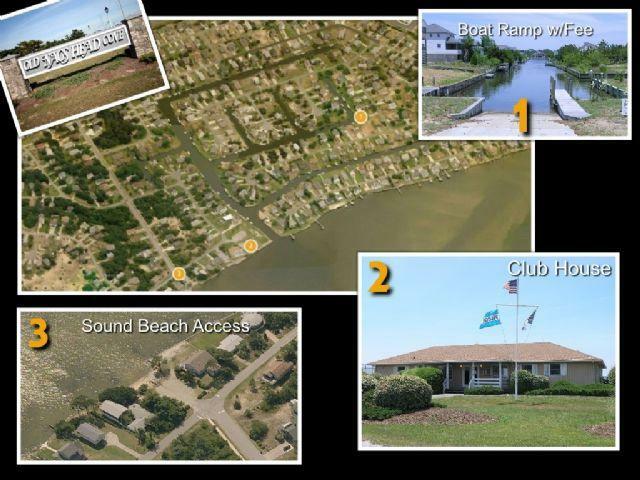 The location on the Outer Banks is great as there's privacy from the main highway (very quiet neighborhood) yet very easy access to beaches (a short walk or bike ride away) and shopping/restaurants. We found very little traffic at this area of the Banks. 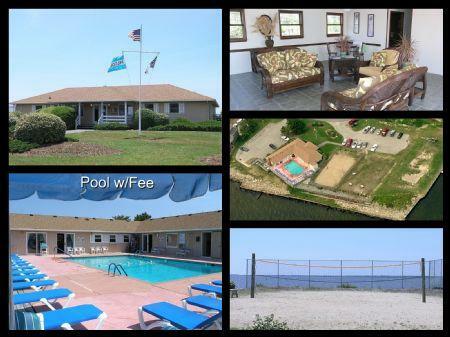 Overall, we loved the place so much, we made it a yearly vacation spot." 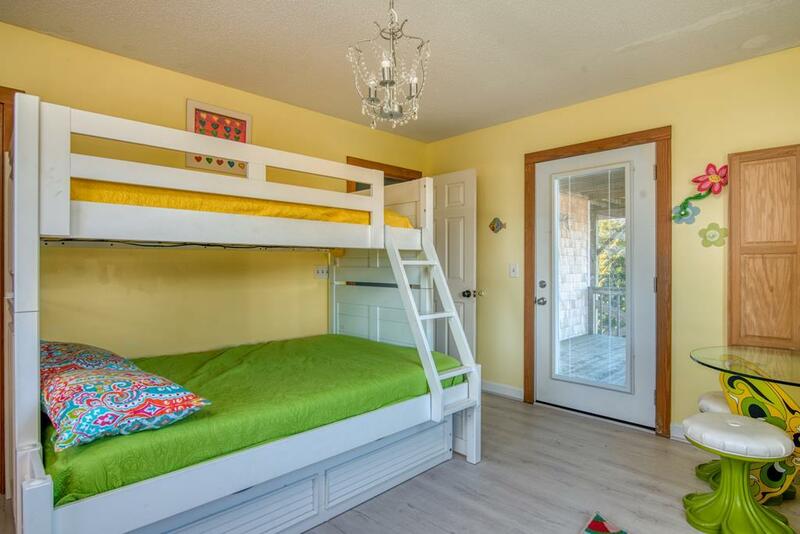 Does this rental have kayaks for use during stay or any other home games/activities? While kayaks are not on-site, we do provide the option of several companies who will deliver them to the house prior to your arrival. 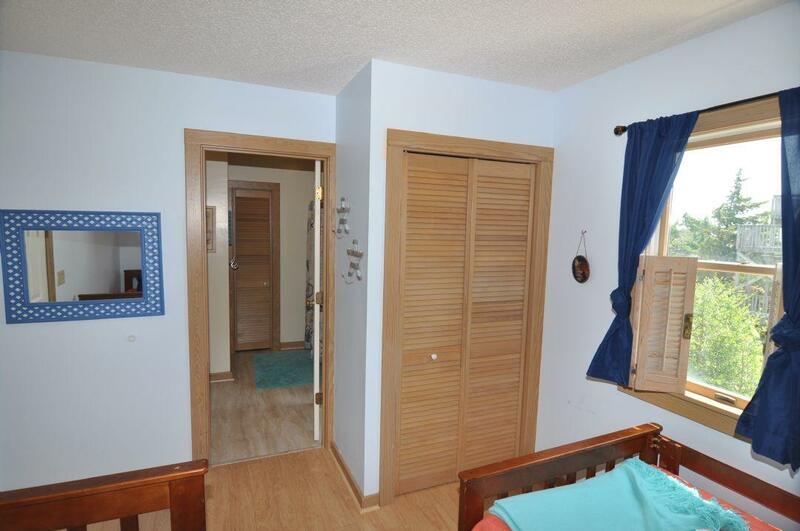 As per games, there are a number of puzzles and board games located in the living room closet of this rental home.